Searching for a knife to buy is always a tricky thing. The knife you buy depends entirely on your tastes and the type of knife you are looking for. Within this industry, SOG, or SOG Specialty Knives, is considered to be one of the most innovative and reliable manufacturers of knives available. SOG offers a wide variety of different types of knives, from tactical and hunting to everyday carrying and industrial. The following is an in-depth look at SOG and their most popular knives. 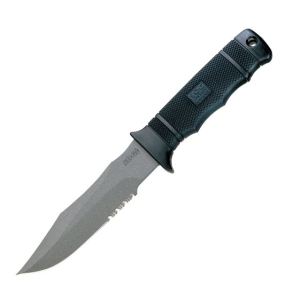 SOG is a knife manufacturer that was first brought to fruition in 1986. This company was founded by Spencer Frazer, a man who wanted to craft a single knife model based entirely on a combat knife used specially by U.S. Spec Ops forces during the Vietnam War. The name of this unit was MACV-SOG, which is where the company name comes from. While Spencer Frazer simply intended to create one knife model in commemoration of the spec ops unit, this quickly changed into a whole series of different knife models for any situation. 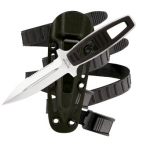 In fact, customers will find that the SOG brand is known as the knife of choice for the Navy Seals. Now that you know a bit about the SOG company, it’s time to look at their best and most popular knife models. Overall, they have a plethora of different models to choose from, all geared towards specific situations. However, when you’re purchasing a knife, you’re going to want to consider a few different aspects of the knife, including the edge, handle, point and pommel. On that front, most SOG models are of pristine condition. If you are searching for a hunting knife to aid you during hunting season, the Seal Pup M37 is definitely the way to go. 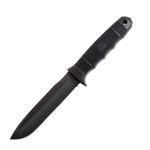 This high quality knife is relatively affordable for a knife of its build quality. It contains a fixed blade, so you won’t have to deploy it, while the blade itself is serrated and consists of a powder coating that allows for minimal reflections and a resistance to corrosion. It weighs a mere 5.40 ounces, while the handle will provide tight gripping even during adverse weather conditions. When considering a hunting knife, the Seal Pup M37 should definitely be at the top of your list. For a specialty combat knife that is versatile enough to use in any situation, the SOG Trident is one of the most popular models on the market. The knife itself is exceedingly inexpensive and extends to just over 8 inches when fully open. Like many of the knives designed by SOG, the handle is comprised of a glass-reinforced nylon material that really helps to provide a superior grip. The blade can be opened easily with one hand, while it will spring open extremely quickly as well. Users will find that the blade has a unique lock switch that will be displayed in red when the blade is ready to be opened, helping to provide a safe means of using it. One of the more innovative features contained on the blade that may account for the primary reason as to why it’s so popular with many customers is that of a groove directly on the handle that allows for quick cutting of a cable or cord without even having to open the knife. SOG also creates high quality knives for those that simply need one for everyday carry and maybe for a bit of protection. 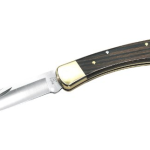 When looking at this selection of knives, the Flash II is largely considered to be among the best. 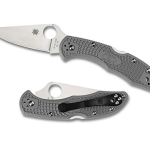 This knife has an exceedingly quick opening mechanism that is done with a simple slide of a button on the handle. The lock that keeps the blade in place uses what is known as piston technology, which ensures that the blade will never swing open mistakenly. The edge of the blade is partially serrated, while the blade itself is a mere .13 inch thick, making it extremely sharp. 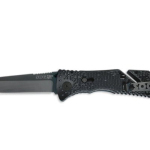 SOG has a wide variety of Industrial knife models as well, ones that will assist when on the job. Consider the Twitch XL, one of the more popular of these knives available. This knife has a straight edge that makes for a very fine and precise cut, which will come in handy during any industrial job, especially for mechanics. The knife uses a lockback mechanism that keeps the knife in place at all times. At a light weight of 4.20 ounces and a length of 7.50 inches when fully opened, this knife will never be obtrusive or in the way. No matter what situation you need a knife for, the aforementioned knives are some of the very best by SOG and even among the best in the industry.